THE LOCATION IS AMAZING, EVERYTHING WE HAVE CLOSE. The place is extremely quiet and silent, slept very well! Only thing I liked was the location, 3 blocks away from the Cathedral. Nothing, very inexpensive but for sure not worth the savings! Me encanto la ubicación que tiene el Hotel, todo te queda relativamente cerca. El cuarto era un poco pequeño y el desayuno solo es cereal y pan, pero en general está bien!!! Hotel Colonial This rating is a reflection of how the property compares to the industry standard when it comes to price, facilities and services available. It's based on a self-evaluation by the property. Use this rating to help choose your stay! 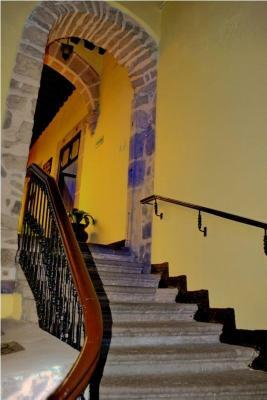 Located in a colonial-style house in the historic center of Morelia, Hotel Colonial offers smart rooms with free Wi-Fi and private bathrooms. 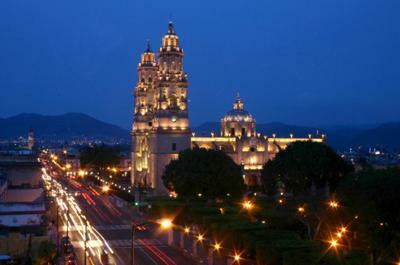 Morelia Cathedral on Plaza de Armas is 2 blocks away. 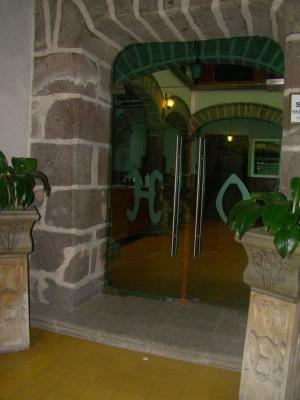 All rooms at Hotel Colonial are arranged around a bright central patio. 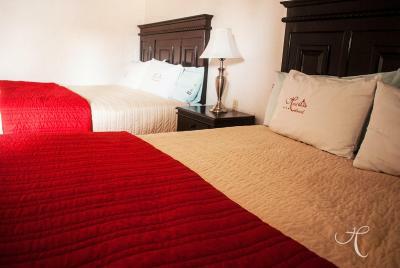 Each is equipped with cable TV and an iron, and includes free toiletries. 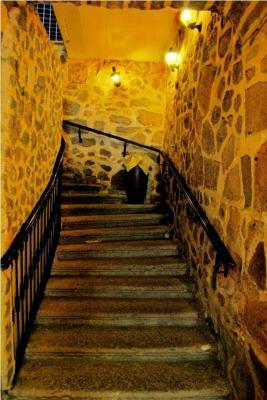 Staff at Colonial Hotel are happy to give you more information about Morelia, a UNESCO World Heritage Site. 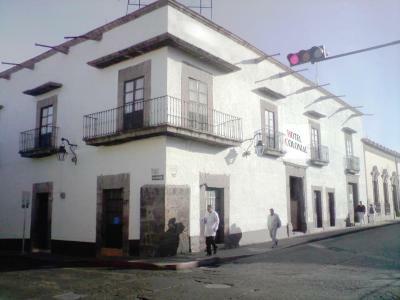 Casa de Morelos Museum is just 5 minutes’ walk away. An airport and city shuttle service is available at an extra charge. General Francisco Mujica International Airport is 16 mi away. 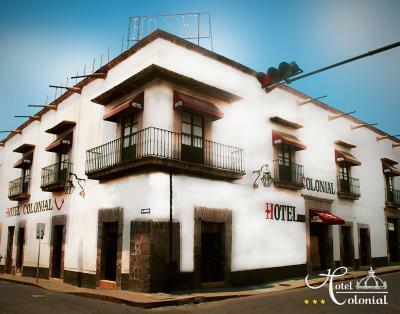 When would you like to stay at Hotel Colonial? This room features 1 double bed with parquet floors includes cable TV, an iron and a private bathroom with shower and free toiletries. This room features a large double bed and includes cable TV, an iron and a private bathroom with shower and free toiletries. This double room with parquet floors and 2 double beds includes cable TV, an iron and a private bathroom with shower and free toiletries. This room features 2 large double beds and includes cable TV, an iron and a private bathroom with shower and free toiletries. This triple room features 3 double beds and includes cable TV, an iron and a private bathroom with shower and free toiletries. House Rules Hotel Colonial takes special requests – add in the next step! Hotel Colonial accepts these cards and reserves the right to temporarily hold an amount prior to arrival. People at front desk did not helped me at all.I reserved a standard room and want it ti switch to a double bed there was no way to be helpd ...plus I got the room next to the cleaning staff and the smell of cleaners was strong and uncomfortable. I like the building really nice. breakfast;Tang, corn flakes, white toast and watery urn coffee with chemical whitener doesn't quite thrill me. The room smelled. The shower drained into the bathroom. Smells, no hot water, poor lighting. no winfow and a strong smell to cleaning products. dirty washroom and dusty room. Bathroom smelled terrible. There were no towels in the room. The light over the sink was broken. Nice colonial style and courtyard and location.